A “born and bred midwesterner” from Ohio, Megan’s first flight ever was to Las Vegas for her wedding. Now an Executive Administrative Assistant and “office cheerleader” at Criteo Ann Arbor, Megan’s role has taken her to Paris and Palo Alto. At the Ann Arbor office, Megan ensures her fellow Criteos at and visiting Ann Arbor are happy with a steady stream of team events to look forward to. I moved to Michigan before starting school and stayed in the same city throughout my childhood. When we traveled as a kid, we drove. I didn’t fly until my wedding. I commuted to college at Eastern Michigan University where I earned my BFA while working full-time. This is also where I met my husband. I love art and that’s what I pursued in college. My artistic skills come from my father, but my Type-A personality is all my mom. My ability to organize, time manage, and problem solve come from watching and learning from this amazing woman. You started out as an Ophthalmic Technician at Michigan Medicine- what brought you to Criteo? While attending college, I had worked as a secretary in ophthalmology and was then offered a position working with the doctors in a technical role. I’m a quick study and I loved working with patients and learning new things. After years in the technical field I moved into management. This helped me to evolve my skill set further with admin tasks, calendar management, staff hiring, and working with my fellow leadership on the bigger picture. Switching to ad tech was fated by a dear friend. 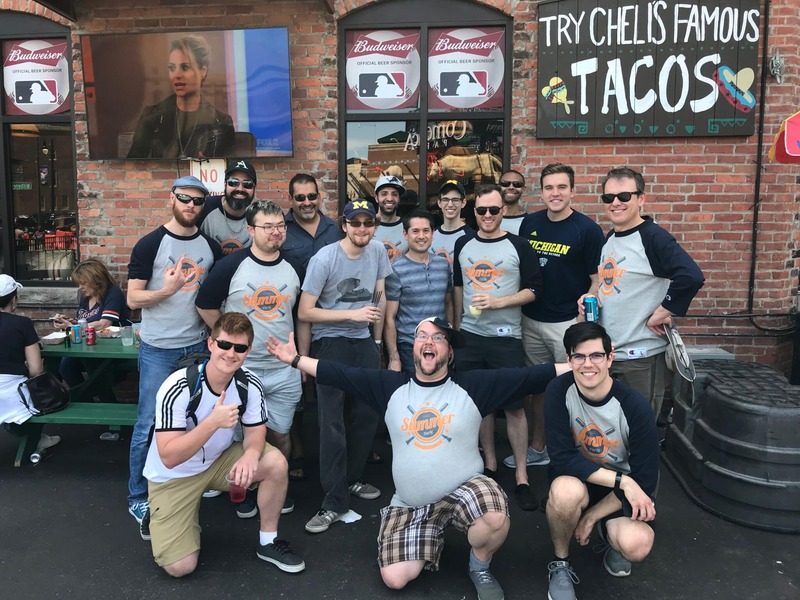 When Criteo was seeking an Executive Assistant (EA) in Ann Arbor, my friend said “I think you’ve got what they’re looking for” and I jumped ship from Medicine. I interviewed with management and our lead EA in Paris. I couldn’t believe they were going to send me to Paris to train. I had to get a passport as soon as the position was offered to me. The admin work comes naturally but I loved the opportunity to travel to organize team events, parties, and celebrations. I was hired in as an Executive Assistant to the managers in the Ann Arbor office. They had never had an EA before so we have worked and found that wearing many hats suits me and supports the needs of the office. Currently along with my EA duties I assist as a Recruiting Coordinator, an occasional HR liaison, and everyday “office cheerleader”. I’d say early on the team was used to handling their own calendars and events. I had to ease them into allowing me to take that off their plates and earn their trust that I would make it great. I was used to an all-female staff in the clinic and switching to tech was almost the opposite end of the spectrum. I was delighted to find our Ann Arbor WIE (Women in Engineering) group. The Ann Arbor ladies get together for bi-monthly lunches. We’ve watched a tech documentary on diversity, had a baby shower, shared news or articles about WIE, and sometimes we just catch up and have a great lunch. I love that I’ve switched career tracks at this point in my life. It’s a great challenge and sets a great example for my daughter. It’s never too late to try something new. Understand what you do well and understand that it can be applicable in many ways. In the future I look forward to managing larger Criteo events. What makes the Ann Arbor office different? How does the Ann Arbor team have fun? My favorite part about the Ann Arbor office is the sense of community. We maintain a small office feel while being part of a larger corporation. We also work in a fun college town with abundant talent. This year we’ve enjoyed celebrating odd holidays like National French Fry Day and National Margarita Day. It’s a strange request to cater in trays and trays of different French fries, but we had a blast. Football tailgates are a big part of our office culture. The fall season brings home games at The Big House and Criteo Ann Arbor knows how to throw an awesome tailgate. Criteo Ann Arbor also has a massive collection of board games. 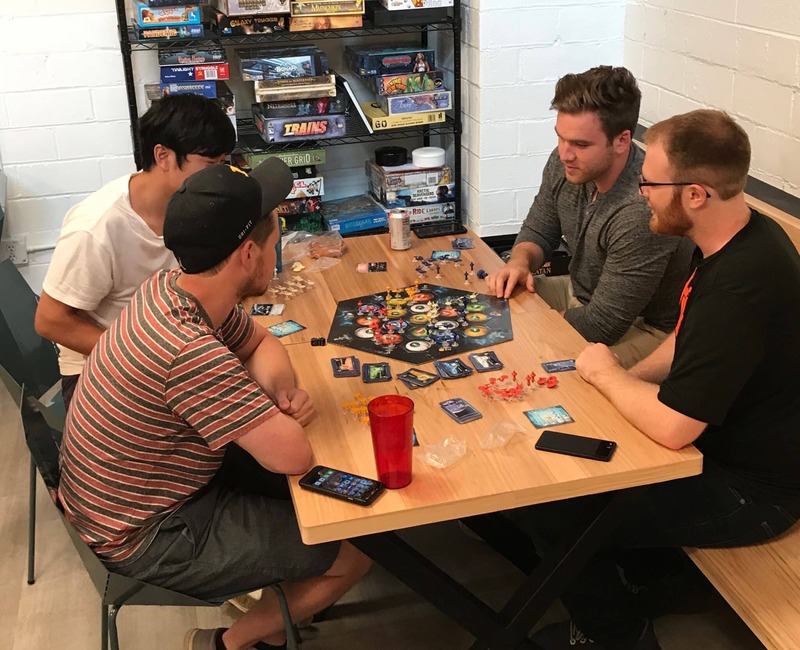 Games might be played during a lunch break or at our after hours Criteo Game Nights. We also have a monthly bar night. We support our local bars with a whole office events including food and drinks. It’s a great time to unwind and catch up with your fellow Ann Arbor Criteos and visiting Criteos. What kind of talent you are looking to develop here? We currently have a wide variety of engineering openings: UX, Full Stack, and Data in both senior and junior positions. We’re looking for people that are talented enough to meet the Criteo expectations that are also a good cultural fit and will contribute to making the office and even better place to work. I love working for a company that cares about their employees’ daily experiences and invests in training them, like sending me to Paris for instance. Criteo values their employees and understands that by creating a positive and fun work environment, it will help with both productivity and retention. There’s hard work being put in, but we’re having fun while we’re doing it. This was very different from my medical field background and really appealed to my artistic spirit. Whether it’s helping out in our local communities, offering employees reimbursement for healthy living, like paying part of your monthly gym membership, or work related challenges, Criteo really puts our people first. I’m enjoying where I’m currently at with Criteo. I’ve already been promoted within the Executive Assistant career path! Being recognized for my efforts within my first year makes me beyond proud. I’d love to continue to grow within Criteo and level up. What projects/achievements to date are you most proud of? I was proud to be given the opportunity to co-chair Criteo’s 2018 Hackathon at Palo Alto, and see the event to fruition. It was amazing watching the engineers at work and seeing their potential projects. I was also excited for our sponsorship at this year’s Grace Hopper Celebration. I co-chaired our booth for Criteo and was honored to celebrate WIE and support increasing diversity in engineering. Lastly, I’m proud to make Criteo Ann Arbor a welcoming environment for all of our employees and for out of town guests. We keep track of our visitors and try to make sure everyone is welcomed Ann Arbor-style, with a desk, a link to our “Welcome Guide”-providing local restaurants, activities, and transportation, and make sure they’re invited to office events during their stay. Also, everyone leaves with some Criteo A2 swag. Staff has mentioned that I’ve added care to our welcoming office environment and that’s so rewarding. Movies, lots of movies. My family and I will see 1-2 movies a weekend. We love films and are pretty open to all genres. My daughter now works at our local theater. I’m also an illustrator and have illustrated over 15 children’s books since 2007. Of late, I’m mostly doing personalized commissioned work. I have a cartoonish style – and I’ve recently created family portraits, name signs, logos and cover art for friends, co-workers, and the occasional Instagram follower. I also love walking our furry kids – our two Great Danes, Peter and Clark. They are the best! Lastly, any advice for people who are looking to pivot into ad tech or make career changes in general? So obviously some people cringe at the thought of their child wanting to get a BFA. I have very supportive parents and they let me go to school for what I loved. When you’re looking to plan your future my advice would be keep our options open and having a bachelor’s degree shows ambition no matter what school you received it from. It also doesn’t hurt to get some exposure to foreign languages in there too. Being able to throw out some French during your Skype with your potential French employer can make an impactful first impression. Many skills cross career paths. When I revamped my resume to apply to Ad Tech, I focused on what I did in my current position that could translate to what my potential employer needed. For example; “Familiar with HIPAA and working with patient’s confidential information” translated to “discreet and versed in handling confidential data”. It’s important to understand how what you’re doing now could be utilized and applied in another environment. Lastly, don’t be afraid. Making a change can be difficult for many at any time in your career, but a change could open up a whole world of opportunities. Since joining Criteo I’ve traveled to Europe for the first time in my life, have flown by myself more than I ever thought I would, and have received praise from my superiors on a job well done. I’ve continued to challenge myself and found that nothing can stop you but you. Thank you Megan! We’re hiring! Check out jobs at our Ann Arbor office!